Banner ads are so attractive and appear to sizzle on the website screen. When viewing e-magazines or websites monetized from ad clicks, the banner ads may be more appealing than the content. You think to yourself: "Those banner ads sure look juicy. They look so good that I want one." You search through the Internet looking for ways to get paid with banner ad placement on your website. How about a few tips? 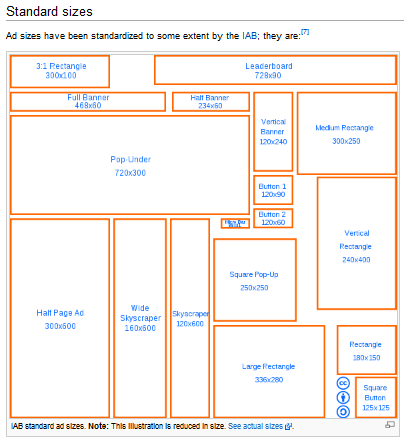 A more complete list of banner ad companies is here. Go can even bigger with your search. Thalamus.co offers a large database of advertisers. You can research advertising companies across the "largest vendor database on earth. Thalamus is the preeminent destination for brands and agencies to source, evaluate, and connect with potential digital and mobile advertising vendors in the world." Before you make a decision to include banner ads on your website, understand the numbers, the psychology around website pages and the reputation of banner ads. If you are buying banner advertising to promote your business and website, have a brainstorming session with your team for innovative ideas to overcome the negative view people have. Find a solution they will trust. If you are thinking about adding banner advertising to monetize your website, sharpen your saw to better understand inbound marketing and what drives traffic. Integrate online and offline marketing to conquer the world and change the community. They say "Marketers ruin everything". Hopefully we can change this with new insights and make people look forward to more from you.